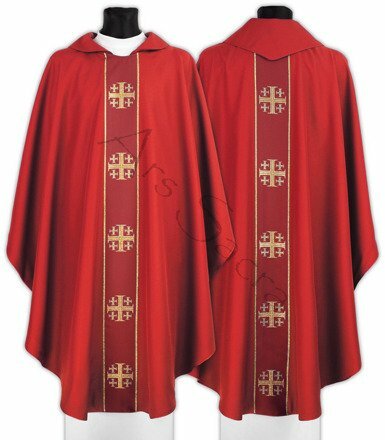 beautiful vestment and not too expensive - this enables us to buy more! I wanted a light weight rose chasuble that was not expensive. Product excellent and well made. Service and delivery as expected. Recommended. Absolutely delighted with the beautiful vestments which add dignity to the Holy Sacrifice of the Mass and the Worship of Almighty God. Ars Sacra provide quality service and are a wonderful resource for Parishes.